I have a bit of a love hate relationship with recycling. Don’t get me wrong, I rinse off every can, bottle and recyclable plastic container that passes through our house, diligently separating them for collection every fortnight. But I get a bit strange when I read about wonder solutions that use recycled plastic – today it seems to be roads, years ago it was local authority-procured park benches. And of course the ubiquitous fleece coats that are going to solve our waste plastic bottle problem. But what has made me such a recycling killjoy? Firstly when I see products being proudly proclaimed as environmental friendly because they were made of recycled this or that I see a double whammy of people trying to get environmental Brownie points today but postponing the problem of what to do with all this waste for the next generation to deal with. Secondly I felt that trumpeting products because they were made of waste this or that was a Hail Mary pass to avoid asking the tough questions of why we were producing so much stuff in the first place – and how we could could stop. Add to that the damage caused by the microplastics that escape each time you wash your fleece made out of 23 recycled plastic bottles – and you might start to see where my issues are coming from. 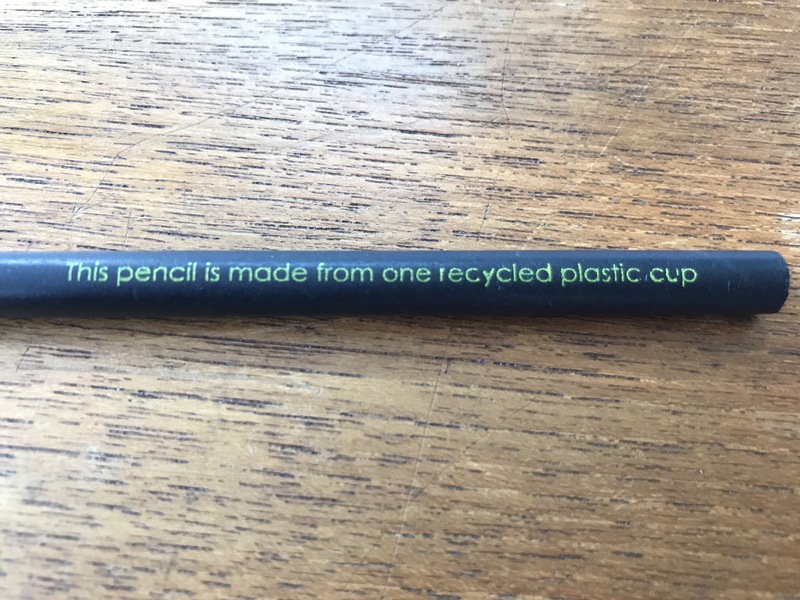 But top of my list of recycled no-no products was the pencil-case that proudly announced it was made of recycled tyres. Remember them? You might even have one in the back of a drawer. They smelt and felt disgusting. And the idea that the problem of waste tyres could be solved by converting them into miniature bags for our writing tools was, well in my mind at least, preposterous and rather insulting. Had I been a bit more charitable I might have suggested to myself that such a product was alerting us gently to the problem of waste and that there were alternatives to dumping stuff like this in the ground. But I was still regularly huffing and puffing about products being marketed as environmentally friendly because they are made of recycled this or that until I heard marine plastic expert Natalie Weldon. We should be pushing for much more recycled content including plastics because that will stop more plastic entering the economy and less of it leaving, she explained to me. This is recycling at its best. Waste as resource not a problem or an environmental gimmick. So I am now fully on board. Just no more pencil cases out of tyres please.